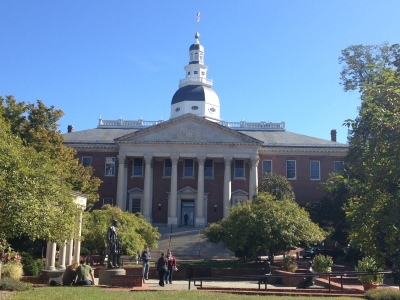 Maryland is a Mid-Atlantic state that's defined by its abundant waterways and coastlines on the Chesapeake Bay and Atlantic. Its largest city, Baltimore, has a long history as a major seaport. Fort McHenry, birthplace of the U.S. national anthem, sits at the mouth of Baltimore’s Inner Harbor, home to the National Aquarium and Maryland Science Center. Blue crabs are Maryland's culinary specialty. One of the original 13 colonies, Maryland lies at the center of the Eastern Seaboard, amid the great commercial and population complex that stretches from Maine to Virginia. Its small size belies the great diversity of its landscapes and ways of life that they foster, from the low-lying and water-oriented Eastern Shore and Chesapeake Bay area, through the metropolitan Baltimore, its largest city, to the forested Appalachian foothills and mountains of its western reaches. 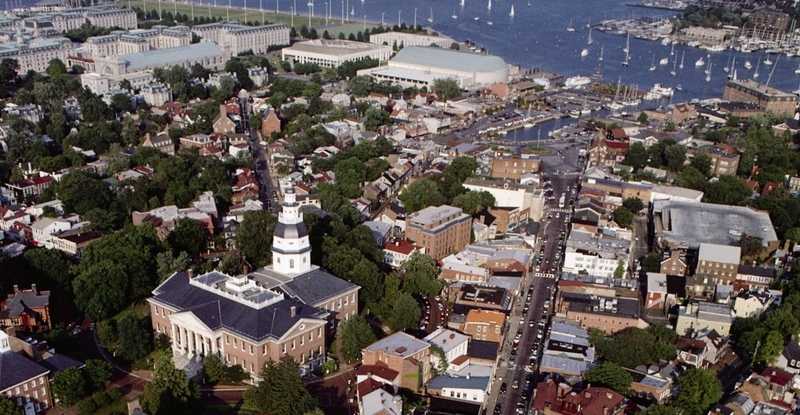 Annapolis, the state capital, is also home to the United States Naval Academy. 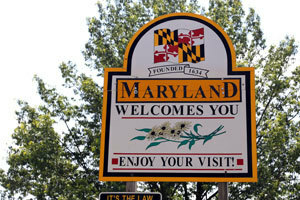 Maryland is the leading producer of blue crabs and is renowned for its crab cakes. 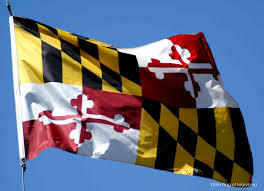 Although Maryland was a slave state below the Mason-Dixon Line, the state did not join the Confederacy during the American Civil War. In April 1649, colonists voted into law An Act Concerning Religion (later known as the Maryland Toleration Act), which granted freedom of worship for all Christians. Although permanently repealed in 1692, the act was one of the first statutes granting religious liberty of any kind and was an important step toward true freedom of religion in the United States. In 1763, astronomer Charles Mason and surveyor Jeremiah Dixon were asked to resolve an 80-year land dispute between the Calvert family of Maryland and the Penn family of Pennsylvania by marking the correct boundary. The resulting Mason-Dixon Line took five years to complete and later became the demarcation between the free North and slave-holding South. On September 14, 1814, while witnessing the British bombard Fort McHenry in an attempt to capture Baltimore during the War of 1812, Francis Scott Key wrote the lyrics to “The Star-Spangled Banner.” In 1931, the United States adopted the song as its national anthem. The Battle of Antietam in Sharpsburg on September 17, 1862, was the first attack on Union soil during the Civil War and the bloodiest one-day battle in U.S. history with more than 23,000 soldiers killed. Although it ended in a draw, President Abraham Lincoln used General Robert E. Lee’s retreat to Virginia as an opportunity to issue his preliminary Emancipation Proclamation; warning seceded states to return to the Union before the end of the year, or their slaves would be declared free.